The clocks have gone back, the evenings are drawing in, and the days are becoming darker and colder and drearier; but, despite this, the Old Library cataloguing project is coming along nicely, thank you very much. I’m still working on 18th century monographs, but learning to deal with the dangerous conditions in which rare books cataloguers must work. Yes, it’s not exactly bomb disposal, and no, I’m not exactly traversing the seven seas on a raft, but still, Elizabethan libraries do not lend themselves well to warmth. I’m terribly grateful, therefore, to whoever suggested that I get myself a pair of fingerless gloves, which have allowed me to keep frostbite at bay while looking remarkably stylish. Even if I do say so myself. In the middle of several thousand books on law, classics and theology, most of which have been in Greek (which I can only barely read, thanks to a semester at university eight years ago), I came across a slim volume of Marcus Manilius’ Astronomica, edited by Richard Bentley, former Master of Trinity College, and printed in 1739 by Henry Woodfall. The book caught my eye initially because of a very exciting fold out celestial chart, complete with pictures of centaurs and plenty of other things I thought J.K. Rowling invented. But I also recognised the title, and thought it might be something we also had in the Jerwood. I like it when the rare books we’ve got are still being published or are still in circulation and being borrowed by current Trinity Hall students. So I did a quick search, and it turns out that I was right: we’ve got G.P. Goold’s translation, published in 1977 by Harvard University Press, and one of the Loeb Classical Library Series. these questions [about the origins of the universe] will always cause dispute among men of genius, and uncertainty is bound to attend that which is hidden from us and is so far above the ken of man and god. But however obscure its origin, all are agreed about the outward appearance of the universe, and the orderly arrangement of its structure is fixed (Book I: 145-8, translation from Goold, p. 15-7). So it appears that it doesn’t matter much to Manilius where the universe came from, as long as it’s in order. Sounds a bit like my approach to shelving. There isn’t much information about Marcus Manilius himself—the poor guy isn’t mentioned by a single contemporary or later Roman writer, and despite many pages of cogitating on the potential effect of the birth sign of the emperor Tiberius (Libra, if you’re interested), he didn’t take the trouble to introduce himself once in the poem. We can figure out the date of composition of the Astronomica by some of the historical events Manilius mentions. In Book 1 he talks about the disaster at Saltus Teutoburgiensis in 9 A.D., and Goold suggests that the emperor Augustus dies somewhere between Manilius writing Books 2 and 4 (and Augustus died in 14 A.D.), so it’s relatively safe to assume the early first century for the date of composition. Another point of contention is where Manilius is from—Scaliger thinks he’s a Roman, Bentley has him down as being from Asia. I imagine it wouldn’t matter much to Manilius where he’s from, as long as it’s in order. But one of the more interesting things about this book is the people who’ve edited and translated it—it seems to be one of those ‘make-or-break’ texts to tackle. As I said, our copy is Bentley’s version, and it’s highly regarded, but Bentley wasn’t the first editor to get his hands on it. The first person to make real headway was the philologist J.J. Scaliger, whose edition appeared in Paris in 1579. And however well Scaliger did (and word is, he did pretty well), he is thought to have paled in comparison when the mighty Bentley came long. A.E. Housman makes this very clear comparison of the skills of the two editors: “Scaliger at the side of Bentley is no more than a marvellous boy” (1903). Bentley’s translation first appeared in 1739 suggesting that Trinity Hall holds one of the earlier printings of the book and though Bentley is criticised for using a bit too much artistic license in his translation, his was the standard for a long time. That is, until A.E. Housman came along, spending no less than three decades dedicated to a translation of the text, and it’s Housman’s version which is heavily used by Goold in his Loeb edition. 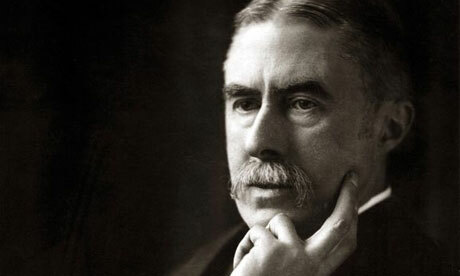 Whoever takes the spot as top dog, however, it’s clear that both Bentley and Housman are deserving of plenty of credit; as Goold writes, “if we accord Bentley the honour of being England’s greatest Latinist, it will largely be because Housman declined to claim the title for himself” (Poetry Foundation). 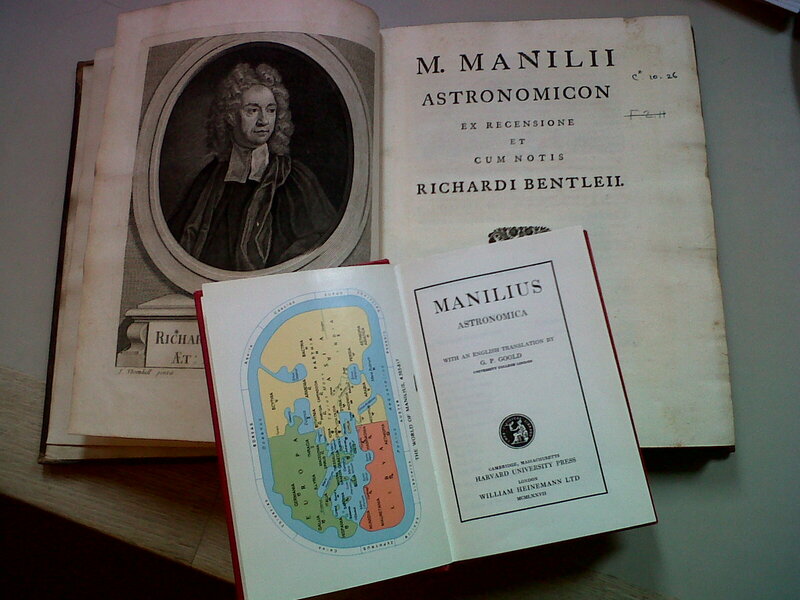 I began to read Manilius’ Astronomicon and soon had to put it down: no matter how much this philosophical poet festoons his work with lofty thoughts, he cannot redeem the barrenness of his subject…I consider that one has to debit the poet’s account with the ill consequences of a subject. After all, he is the one who chose it. Housman, A.E. (1903). Introduction [to Book 1]. Manilius, M. (1977). Astronomica (G.P. Goold, trans.) Cambridge: Harvard University Press. Poetry Foundation. (n.d.). A.E. Housman. Retrieved 31 October 2011, from here. Volk, K. (2009). Manilius and his intellectual background. Oxford: OUP. For extra credit, the Whipple Library, Cambridge, has some information about their folio of Book 1 here. 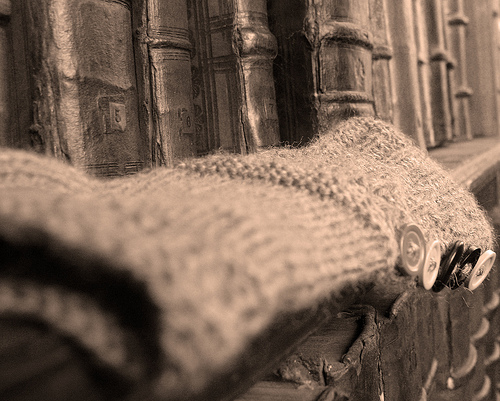 Thanks to Katie Birkwood for the photo of the gloves; Postershop for Cetus (it’s by Sir James Thornhill and it’s called “Constellation of Cetus the Whale” from Atlas Coelestis, by Sir John Flamsteed, 1729); and A.E. Housman from The Guardian. Aren’t they gorgeous?! They’re called “Classmark Mittens” and they’re Katie’s own design. You can read more about why they came about on her blog, here, and if you fancy making a pair for yourself, you’re in luck–the pattern, including more photographs, is online, here.